T. T. Shields was born in Bristol, England. At an early age he was converted to Christ during a revival meeting in his father’s church. He was educated in British universities. 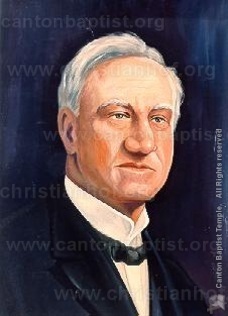 After a few pastorates in England he was called to the Jarvis Street Baptist Church in Toronto, Canada, in 1910. Here he served for forty-five years. However, his service for Christ was not confined to the Jarvis Street Church. He was very active in several areas: Vice Chairman of the Home Mission Board of the Baptist Convention of Ontario and Quebec, President of the Baptist Union of North America, Vice-President of the International Council of Christian Churches, President of the Conservative Baptist Churches of Canada, President of the Canadian Council of Evangelical Christian Churches, and President of the Canadian Protestant League.